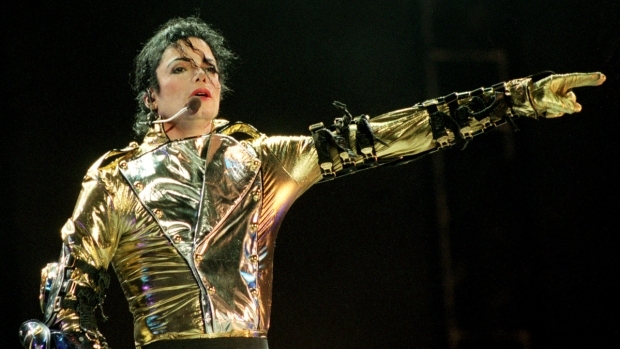 Katherine Jackson's lawyers say they're skeptical about the AEG Live proposal. Michael Jackson was a perfectionist who was "bigger than life," the late singer's nephew Taj Jackson said Friday as he testified before Judge Mitchell Beckloff, who approved a three-city traveling tour that will bring Jackson memorabilia around the world. The Los Angeles judge approved the traveling tour, which will earn Jackson's estate up to $6 million, after an evidentiary hearing that saw Jackson's mother's lawyers fight against the proposed deal, the Associated Press reported. The tour will go to three cities, including London, and will open around the same time as the October release of a film chronicling Jackson's last months onstage as he rehearsed for a comeback tour. Lawyers for the singer's mother, Katherine Jackson, said they were not sure the AEG Live proposal was the best way to preserve her vision for his legacy. Taj Jackson, himself a singer, testified that his uncle had set aside a section of his Neverland Ranch in Santa Barbara County for memorabilia, and adding more items would make it "something bigger and grandiose." Taj Jackson said he was startled to see AEG Live-provided footage of his uncle's tour rehearsals shown on television. He said he immediately called his grandmother. "I was shocked," he said. "I knew that was my uncle's footage. This was not their footage." Michael Jackson was "very protective of his image, and he wouldn't want anything that wasn't perfect out there," his nephew said. Taj Jackson also said he would have preferred that the July 7 memorial for his uncle had been staged at the Los Angeles Memorial Coliseum instead of Staples Center. "That's how I looked at my uncle, bigger than life," he said. Most of Friday's hearing was held in closed session because the witness testimony has involved confidential business information. However, Judge Mitchell Beckloff said he would allow arguments in open session. Jackson, 50, was found unconscious and not breathing June 25 at his leased Holmby Hills estate. He was pronounced dead two hours later at Ronald Reagan UCLA Medical Center. A wide-ranging investigation into his death -- focused on the possibility that the singer was given a powerful sedative and other various prescription medication -- is continuing, with Jackson's personal physician, Dr. Conrad Murray, emerging as the prime target of the probe. The Jackson family has announced that the singer's funeral will be held Sept. 3 at Forest Lawn Memorial-Park in Glendale, with only family and invited guests attending.